It's March. We all know what that means: Mild Month. Time for another Mild recipe. Remember my Andrew Campbell post about Mild? Didn't think so. In that case, check out the link. Best Mild. It's a term that's pretty much extinct. In the distant past of my drinking youth, there were still a couple of breweries brewing multiple Milds. Thwaites was a good example. Though their ordinary Mild has long since been discontinued and their Best Mild is now called Nutty Black. 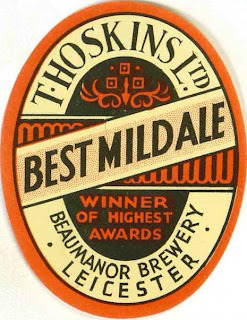 Today's beer is a Whitbread's Best Mild. It was introduced in the 1950's when things began to look up economically in Britain and beer strengths had started edging up to a level actually capable of intoxicating. Whitbread Triple X as Campbell called it, was one of his examples of a best Mild. Though it barely creeps into his definition of the category with a gravity of just 1034. I can't think of much else to say. . . . Buy more of my books! . . . . erm . . .erm . . . Here's Kristen, coming to my rescue . . .
What's Google trying to tell me?